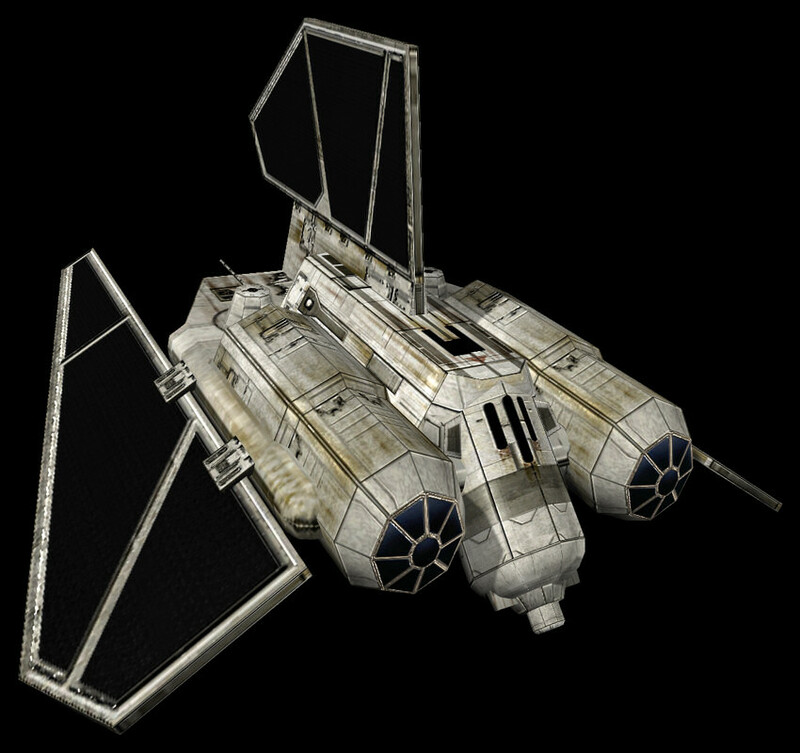 The Lancet Aerial Artillery was an Imperial air vehicle derived from both the TIE series and the Lambda-class shuttle family. Blending the dual cylindrical pods of the TIE/sa bomber with the flat-bodied tri-wing configuration of the Lambda-class shuttle, Lancets were armed with a powerful proton beam cannon centrally mounted on the fore of the fuselage and angled optimally for air-to-ground attacks. However, the solar array used for TIE's was incorporated into the tri-wing form. They also had 2 anti-air systems to defend themselves. Like their spacefaring relatives, their lack of combat shields made them vulnerable to anti-aircraft laser and mass-driver cannons. The Lancet was capable of causing tremendous damage to land-based targets. 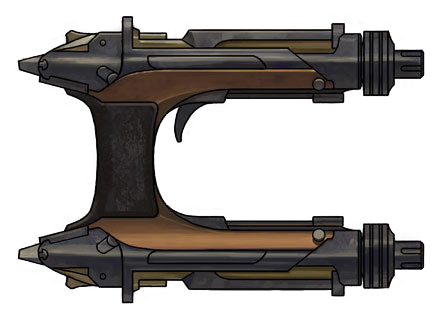 However, its weapons were found to be less effective against mobile targets.